Elon Musk said a rocket ship his company is building for trips to Mars could make short flights by as early as next year. Space Exploration Technologies, known as SpaceX, is "making good progress on the ship and the booster", Mr Musk said at the South by Southwest event in Austin, Texas. "I think we will be able to do short flights, short up and down flights, probably in the first half of next year," he said. "This is a very big booster and ship." Mr Musk (46), who has long dreamed of creating a human colony on Mars, revealed in 2017 he was building the new rocket ship - codenamed "BFR" - that would be capable of travelling anywhere on Earth in under an hour. The spacecraft would ultimately be able to make missions to the moon or Mars. At the music, film and media festival, Mr Musk conceded his forecasts on project completion times are sometimes a bit rosy: "People have told me that my timelines historically have been optimistic." He had decided to go into the space industry because he didn't feel enough progress had been made in recent years on space travel. "I wondered why we weren't making progress with getting people on the moon, and where are all the space hotels we were promised in '2001: A Space Odyssey'?" he said. 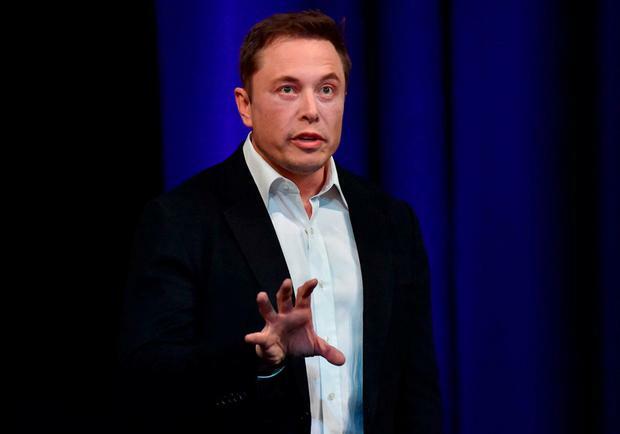 Mr Musk spoke at length about his role as an entrepreneur with SpaceX and electric car maker Tesla, his concerns about advancements in artificial intelligence ("It scares the hell out of me") and the need to put a price on carbon emissions in order to develop a sustainable energy system. He said revenue from a project to launch satellites that would bring broadband internet access to the world, dubbed Starlink, would help fund the building of interplanetary spaceships.